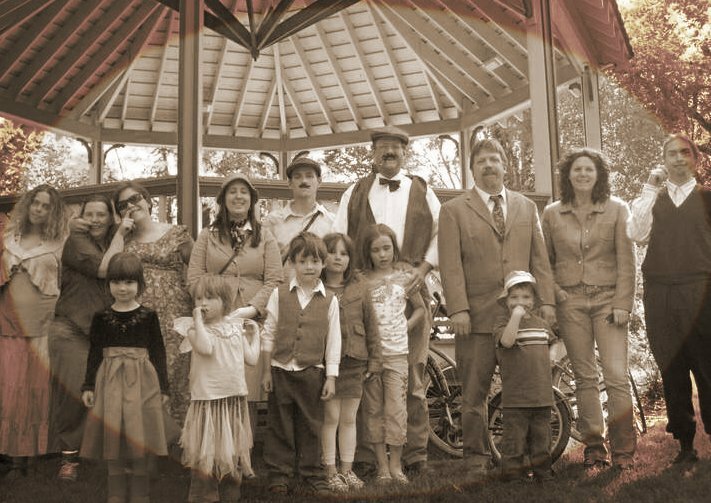 The Bellingham Tweed Ride is a casual annual affair usually hosted the Saturday before Halloween week. We wear old turn of the century clothes, old bikes if we have them, and tea. So be a good chap and meet us there! When? Oct 24, Gather at Bellingham City Hall 12:00pm. Ride starts 12:30. Ride ends 2:30 or earlier at Elizabeth park. Seek refreshments at Elizabeth Station. Jed! Simon here. We met at the taco truck earlier today. I looked around for a contact email but didnt find one,this was the closest thing I came across. Shoot me an email at s.stopenhagen@gmail.com and we can continue the discussion. Yeah, I’ll update my contact info on here. Keep in touch with me via: Jed .at. bitratchet.com or https://www.facebook.com/jed.reynolds1 or https://plus.google.com/+jed_reynolds or @jed_reynolds.